Valentine’s Day is almost here! Whether you’re looking for the perfect gift for your sweetheart, a Galentine’s Day celebration gift, or to simply pamper yourself, CBD gifts are an excellent way to show your special someone you care! Cannabis infused products are one of my favorite products to receive as gifts and are excellent for self-care! Here are some of my sweetest picks for this year’s celebration of love! 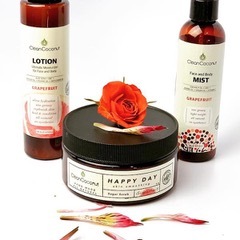 Clean Coconut has an awesome organically grown hemp infused skincare line featuring lotions, oils and scrubs infused with CBD and aromatic essential oils! Clean Coconut’s Deep Relief provides a luxurious experience at calming achy muscles, perfect your athlete sweetheart! Vision One Naturals offers a wonderful selection of natural hemp infused tinctures, skincare, recovery and vaporizers! 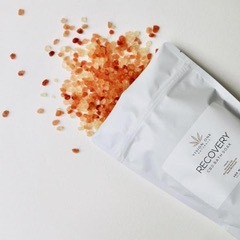 Their Recovery CBD Bath Soak is perfect for calming the body and providing a soothing experience. Wana Brands have spent years fine-tuning their recipes so that their products are delicious, consistent and potent! 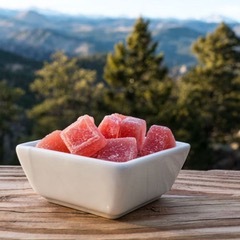 Treat yourself or a special someone with the amazing 10:1 CBD/THC Strawberry Gummies! They are the perfect treat and a sweet way for you to get your daily dose of CBD! Honu has a variety of CBD infused products including bath bombs, lotions, and chocolates! 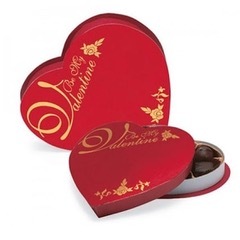 You can even get a special Heart Shaped Valentine’s CBD-infused chocolate box! It’s complete with 150mg of CBD infused chocolates in Chocolate Turtle, Dark Chocolate Peppermint, Peanut Butter Cup, Chocolate Caramel, Orange Dreamsicle and Cookies and Cream! 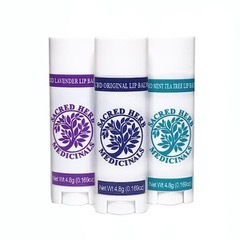 Sacred Herb Medicinals has the perfect CBD Lip Balm to get your lips ready for love! Their lip balm comes in three different essential oil-based varieties with coconut oil, fifteen different herbs, and cannabis! Pucker up! 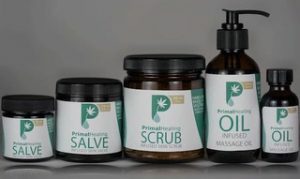 Primal Therapeutics is the leading source for cannabis infused massage therapy! 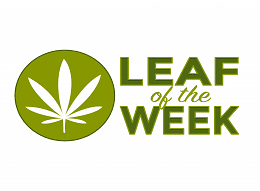 If you’re near the Denver Metro area, you can relax with a cannabis infused massage treatment or get Primal Healing’s topicals to give your special someone a massage! Their oils, salves and scrubs are completely organic and rich with high THC & CBD broad spectrum cannabinoid content! 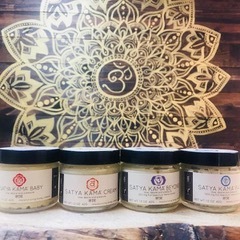 Satya Kama has a line of hemp infused creams designed for love, desire and pleasure! Made with the utmost of care using the highest quality nourishing oils, Satya Kama’s creams will arouse the senses. You can use this product daily to nourish your skin or in ways your imagination has yet to discover! Enhance your intimacy with Satya Kama’s edible and vegan Cream OG!